I am bringing you a fever induced Thursday Morning Superhero thanks to a batch of Con Crud or PAX Plague. This past weekend I attended PAX East for work and woke up feeling a bit funny today. It is possible it is unrelated, but I wanted to alert you in case I suffer from any hallucinations mid review. It isn't that bad, but I likely going to bed before my kids tonight. Paper Girls #27 - We are clearly reaching the end and it appears that the girls, from all time periods, are finally working together in an attempt to bring the crew back together. Brian K. Vaughan has done a masterful job growing the characters throughout the series in profound ways. Their encounters with their future selves guide their development and it appears that the culminating finale of this series won't disappoint. I was particularly moved this week in Mac's journey as she contemplates her own death and discusses spirituality. One element that Vaughan does masterfully is the use of appropriate humor to prevent things from getting too philosophical. I say it with each Paper Girls review in hopes that it will finally stick. I really need to go back and read this series from issue #1 prior to the big finish. This is a special series. 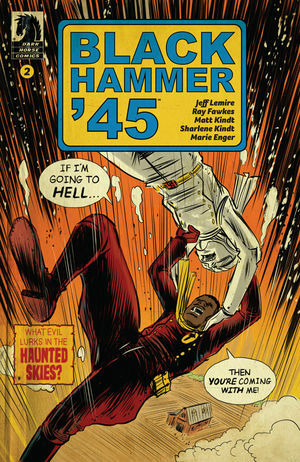 Black Hammer '45 #2 - This nostalgic book from a crew of incredibly talented creators regales us with another tale of superheros versus Nazis. It appears that we are going to learn more about each superhero as they reminisce on their past triumphs and defeats. This issue features some incredible action high up in the sky, and I'm not certain if it is the fever talking or if I witnessed two Nazi blimps manipulating clouds to appear like a god and a Nazi bat-human take out a planes engine mid-flight. This is such an absolutely gorgeous book from Matt and Sharlene Kindt and it makes me want to travel back in time and invest in war bonds. 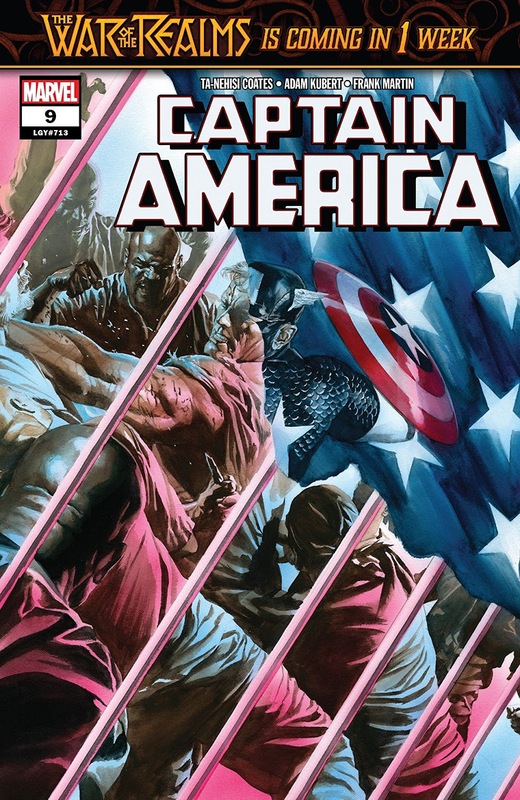 Captain America #9 - Steve Rogers remains in jail and his only hope lies in a covert group of women known as the Dryad who appear to be an organization that you should not cross. It doesn't appear like a typical group that Captain America would partner with, but they are working on a plan to get him out of prison. There wasn't a lot of action in this issue besides some explosions and a brief prison riot triggered by Rogers that led to his confinement in the hole. The Dryad has access to the video feed of the prison and appear to be intrigued at the idea of using a future riot to bust Captain America out of prison.